Notes: Big Sandy and the boys team up with Glen Glenn for a grand old time. A sheen from the past lays over the affair and it fits like a custom cut suit. 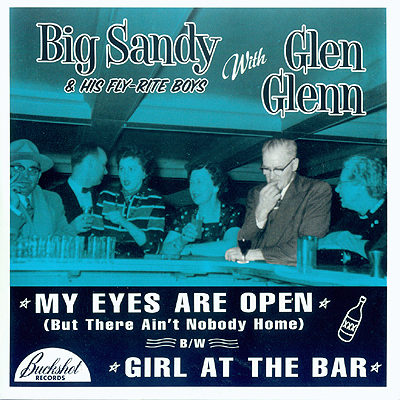 You can't go wrong with big Sandy. 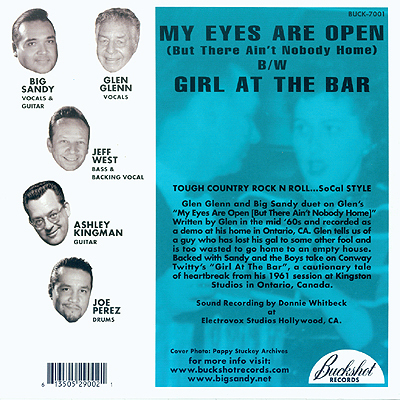 45 RPM single looks fine on the turntable and the period cover art brings back a taste of yesteryear.